The first Public Private Partnership (PPP) initiative announced since launching of the PPP Law in November 2015 by HH Sheikh Mohammed bin Rashid Al Maktoum, Vice President and Prime Minister of the UAE and Ruler of Dubai was signed between Dubai Courts and Park Line LLC. The project aims to develop one of the world’s largest automated car park facility within the existing premises of the Dubai Courts. The 30-year Concession Agreement for the project was signed by HE Taresh Eid Mohammad Al Mansouri, Director General of Dubai Courts, Ravi Sreehari, CEO for the Middle East and Africa region of ITNL, and Ahmed Alkhoshaibi, Group CEO of KBW Investments and Managing Director of NGP Limited, on May 4, 2016. Park Line LLC, is a Special Purpose Company set up by NGP, a KBW Investments company, and ITNL Infrastructure Developers LLC, a subsidiary of IL&FS Transportation Networks Limited (ITNL). KBW Investments executives and officials of Dubai Courts at the signing ceremony of the first PPP Project Concession Agreement in Dubai, UAE. The Dubai Supreme Court project, having a built up area of 55,742 square meters, will include development of a new Supreme Court building, comprising 4,420 square meter that will house over 50 Supreme Court Judges, 18,600 square meters of office space and 3154 square meters of retail. The project is scheduled for completion in 30 months. The Dubai Supreme Court project will be the first government building with an automated car parking facility, thereby offering adequate parking area for visitors and employees of Dubai Courts. The new development is proposed to be located on part of the existing Court’s employee car park area, which currently houses 250 car parking spaces. 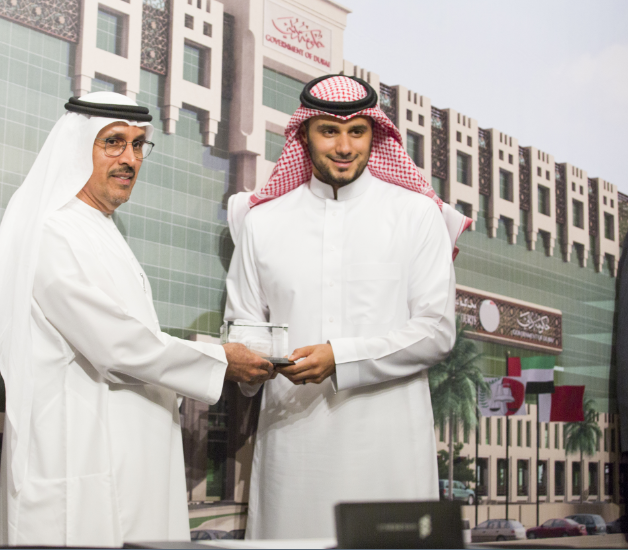 HE Taresh Eid Mohammad Al Mansouri, Director General of Dubai Courts and Ahmed Alkhoshaibi, Group CEO of KBW Investments and Managing Director of NGP Limited, on May 4, 2016.